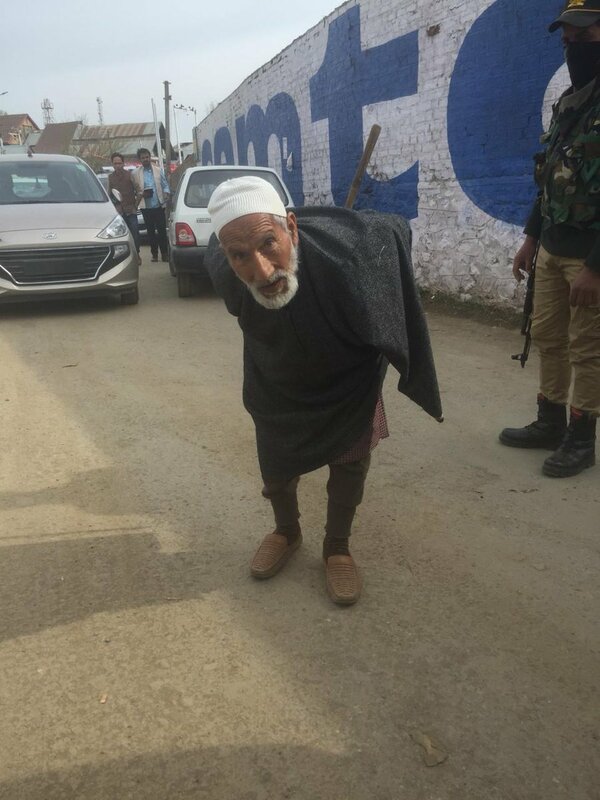 92-year-old Ghulam Ahmad Mir, casts his vote in Handwara, Jammu & Kashmir. “I will keep voting in every election till I am alive." 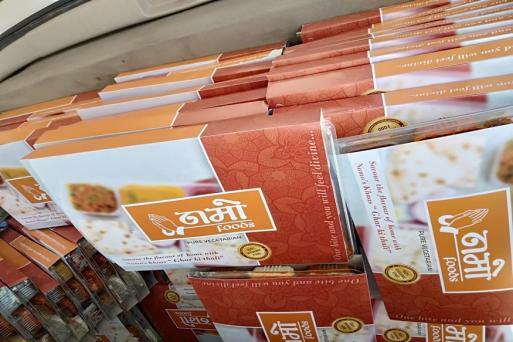 As voters lined up at polling stations to cast their vote in the Lok Sabha elections, saffron coloured food packets from ‘Namo Foods’ were distributed at the booth in Noida. 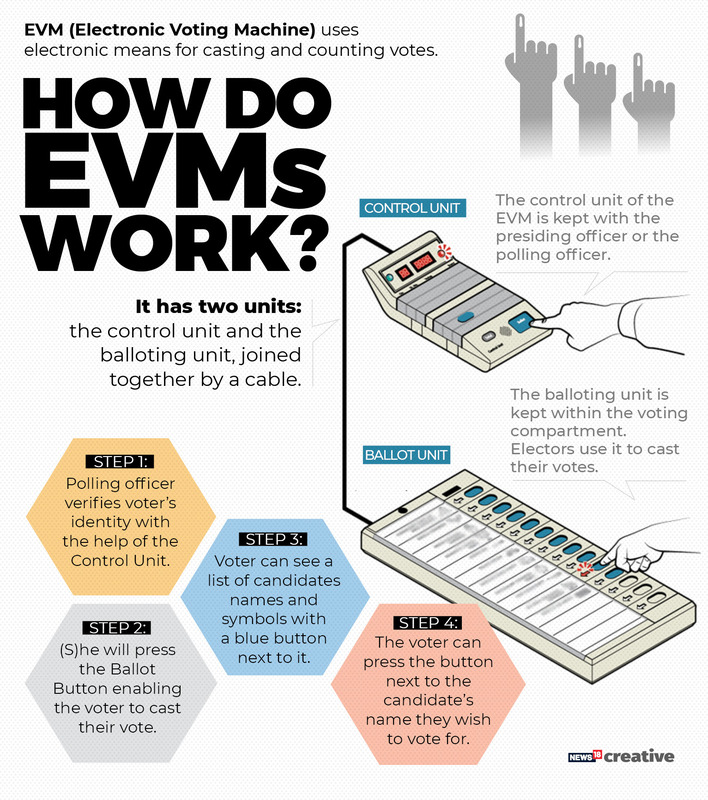 EC has asked for a report if it violates the model code of conduct. 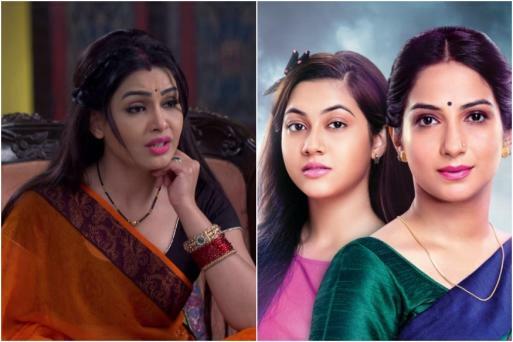 'Bhabiji Ghar Par Hain' and 'Tujhse Hai Raabta' have been served a show cause notice for promoting Narendra Modi's political schemes like Swachh Bharat Abhiyaan and Ujjwala Scheme. Seize the day, or seize the vote? 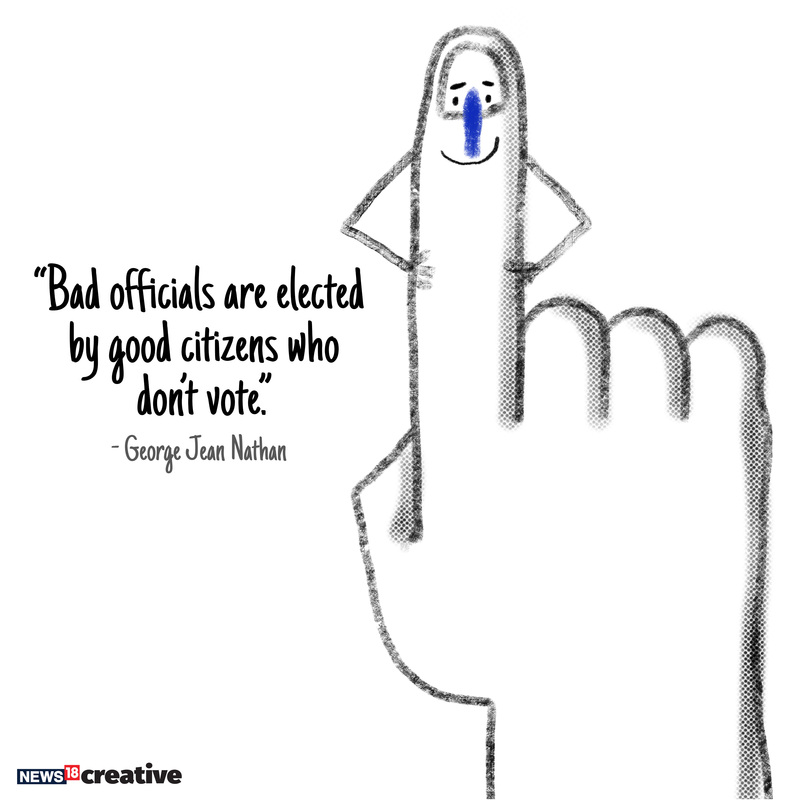 Because fulfilling your civic duties is cool too. 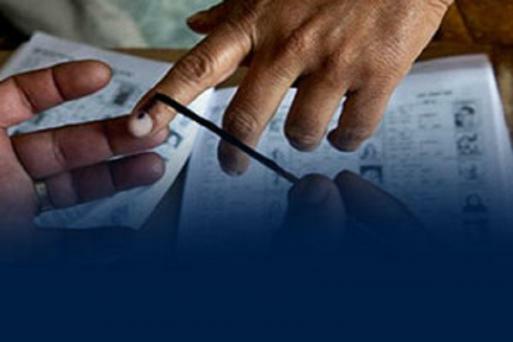 Is your name issing from the voter list for #LokSabhaElections2019? 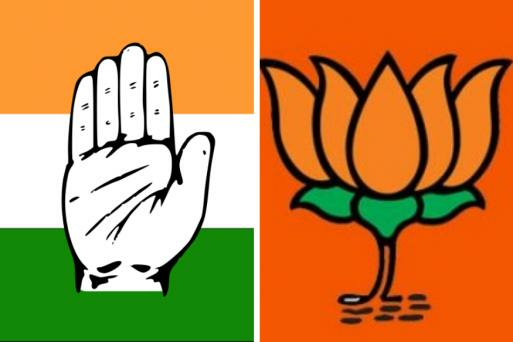 Who's going to win the 2019 Lok Sabha Elections? Vote to get enlightened. Monks cast their vote in Sikkim. Find all the latest election updates here. 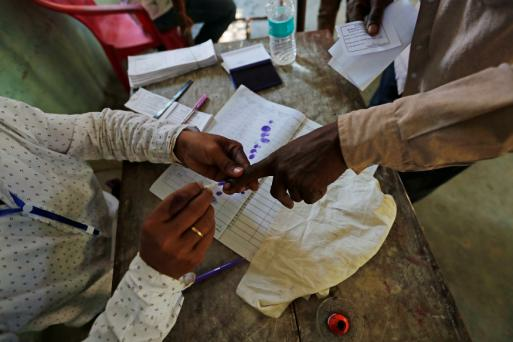 Polls open in India as the world's largest election begins. It's official. Up to 900 million people will vote to choose their next leader. Dance like a man, vote like a citizen. 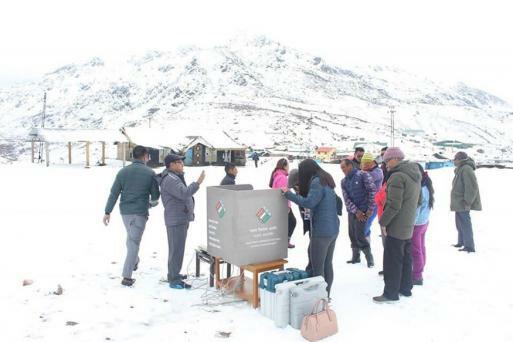 #ElectionsWithNews18 | Huge voter turnout at Thegu Primary School, a polling station located at a height of 13,200 feet under 21-Gnathang Machong constituency, in Sikkim. An NRI couple from US has come down to India to exercise their franchise. Amrut and Amruta Kapare voted in their home constituency of Nagpur. We don't know about the kids, but the senior citizens are all right, for sure. As the world's largest deomcracy gears up for elections, it's important to remember that size doesn't matter, your vote does. Sweet gesture or sticky situation? Voters please note that mobile phones are NOT allowed inside polling booths. Even if they are switched off. Don't get misled by news reports claiming otherwise. Speaking of age just being a number! As FLOTUS would say, Be Best! Because age is just a number, and we need a number of votes to form the next government.